Asparagus growers in the desert region are reporting that production is increasing and more volume is starting to flow through from the region. They said that volume is peaking later than in more recent years due to a cooler start to winter. "We got off to a slow start this year with light production during January but now production is increasing," said Donald Alford of Altar Produce. "Last season we saw the opposite - it was a warm December and January which brought on production earlier than normal. This year sees a return to a more typical season which we haven't seen in three years." Quality is looking good and recent rains in California have not adversely affected the asparagus crop. "Quality is just gorgeous and the numbers are looking good," Alford noted. "There is nothing wrong with the crop, it's simply later than the previous few years. We are not receiving the heavy rains that have been falling on other parts of California. What rain we are getting has been beneficial for the crop. It's just in the right amount and is offering a free shot of nitrogen to the soil to help it along." With peak asparagus production delayed this season, growers are hoping that supplies will last until Easter, which is also later this year. As usual, it will all depend on weather conditions and so far things are looking promising. "We are a good two weeks later than previous years and are hoping that the late start will carry us through to Easter," Alford said. "If the weather remains mild and steady as it has been, we are confident we will have supplies until then. However, we won't really know until March is upon us. If it gets hot, the plants will become seedy and the season will end like it did last year in March." 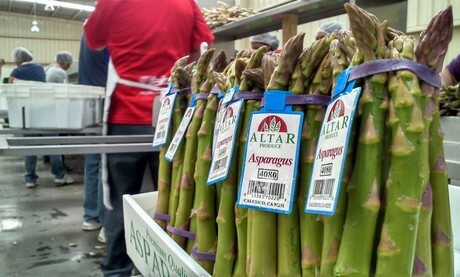 Prices on asparagus are showing signs of weakening as more supplies enter the market. 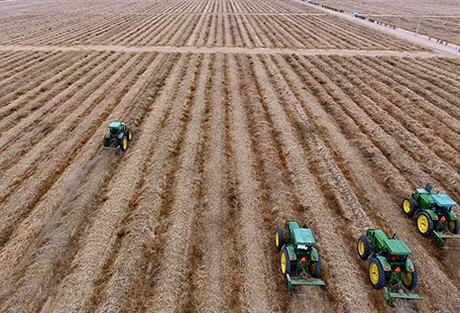 Growers are satisfied though, as this trend is typical for the desert deal, and moreover is arriving later than it has been in recent years. "The market is in a declining mood which it should be at this stage of the season when we see greater volume," Alford shared. "The price for 11lb is sitting at $16.75 while 28lb is in the low $40s. Normally, prices ease back around the third week of January, but this year we are seeing it in the first week of February."